Laura Smyth & Ted Kemp and Brown Boots! Brown Boots! 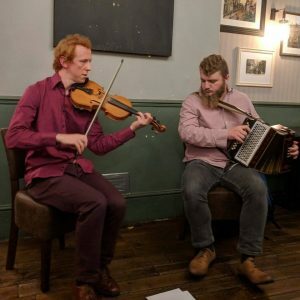 is Will Allen on melodeon and Martin Clarke on fiddle. Their musical background is rooted in playing music for dancing, as well as gaining inspiration from playing with their many talented musical friends at festivals and pub sessions across the country. Although we’re at home on any stage, we love performing in more intimate venues, where the audience can really get immersed in the acoustics and movement of the instruments. 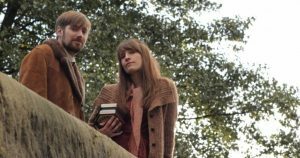 Laura Smyth and Ted Kemp take a no-nonsense approach to traditional English folk song, taking our cues from revival singers such as Frankie Armstrong, Peter Bellamy and the Watersons and placing an emphasis on strong vocals, tight harmonies and unfussy arrangements. With repertoire drawn from and inspired by our homes in the North West and East Anglia, expect to hear a distinctive range of songs sung with passion.